Layered in Genuine Shipwreck Silver. 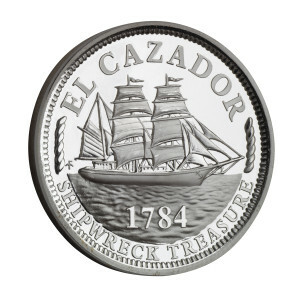 The first-ever Shipwreck Silver Tribute commemorating the El Cazador, the 18th century El Cazador shipwreck whose loss changed the face of U.S. history forever. The obverse of this minted Proof features an image of the ship and the reverse depicts an exact replica of the Spanish Castle & Lion coat of arms found on Spanish Silver 8 Reales, also known as Pieces of Eight. 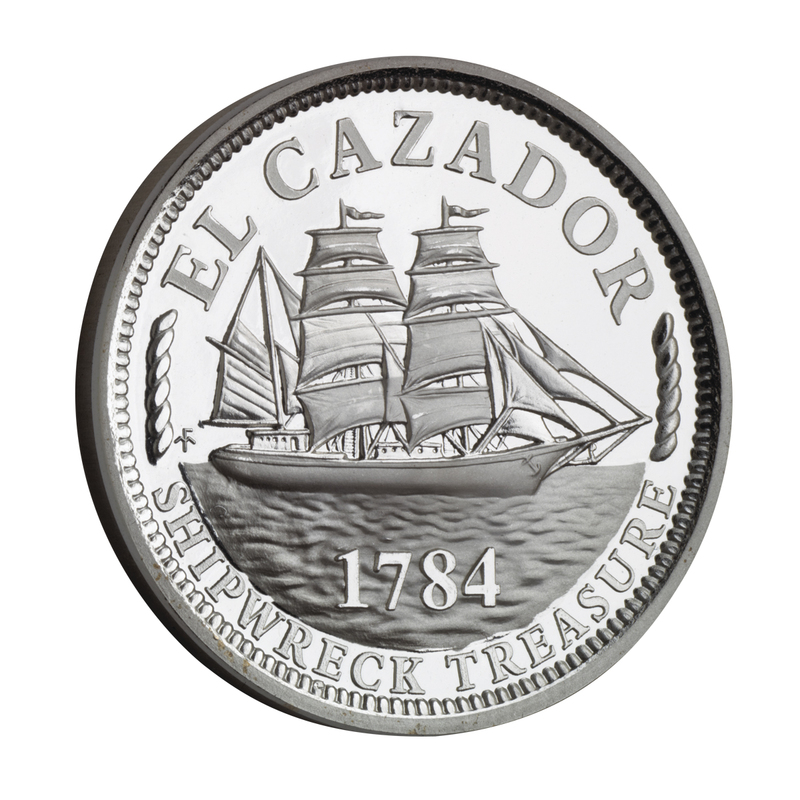 This tribute is layered in actual silver recovered from the El Cazador shipwreck.